William M. Adler, The Man Who Never Died: The Life, Times, and Legacy of Joe Hill, American Labor Icon, Bloomsbury, 2011. The definitive biography, answering questions including who committed the murder Joe Hill was framed for. Philip S. Foner, The Case of Joe Hill. International Publishers. 1965. Joyce Kornbluh, Rebel Voices: An IWW Anthology. (2nd edition). Charles H. Kerr, 1998. Rino De Michele, editor, Never Forget Joe Hill, a tri-lingual cooperation between Italian publisher APARTE° and Federativs Förlag, publishing house of the SAC Syndikalisterna (Central Organization of Swedish Workers). Includes book, CD with performances of Joe Hill’s songs from musicians from around the world, and other materials. Ture Nerman, Aebetarsångaren Joe Hill: Mördare eller martyr? Stockholm. Franklin Rosemont, Joe Hill, the IWW and the Making of a Revolutionary Workingclass Counter-culture. Charles H. Kerr, 2003; reissued by PM Press. New French translation with a preface by Fred Alpi (who performs and has translated several of Joe Hill’s songs) released in May 2015. Gibbs Smith, Joe Hill. Layton, Utah: Gibbs Smith Publisher, 1969. Now eclipsed by Adler’s work, it was the definitive biography when published and is still well worth reading. Includes extensive excerpts from many relevant documents and Joe Hill’s writings. Ingvar Söderström, En sång kan inte arkebuseras: Berättelsen on Joe Hill. Bäckström, 2002. Barrie Stavis and Frank Harmon, eds., The Songs of Joe Hill. Oak Publications, 1955, 1960. Includes words and music, but the editors substituted other tunes where Joe Hill used a tune not then in the public domain. Wallace Stegner, The Preacher and the Slave. Boston: Houghton Mifflin, 1950. A fictionalized, rather hostile, treatment issued under various titles over the years. Fred Thompson & Jon Bekken, The Industrial Workers of the World: Its First One Hundred Years. IWW, 2006. The IWW’s official history, now in its third edition. The Salt Lake Tribune established a web site with a short graphic novelization of Joe Hill’s life, a detailed timeline, maps and photographs, videos of local bands doing contemporary takes on Joe Hill songs, and short introductions to Joe Hill’s life and several aspects of the case. Not unsympathetic, though the editors did feel it necessary to include gratuitous swipes at the IWW and downplay the role of the media and social elites in framing Joe Hill and repressing his supporters, and the labor movement more generally. 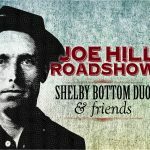 The Bread & Roses Workers Cultural Center’s Joe Hill Resources webpage appears to have last been updated in 2013, but lists and links to a wide variety of art, films and videos, books and poems, recordings of Joe Hill songs and songs about Joe Hill, etc. Joe Glazer. “The Songs of Joe Hill.” Folkways, 1954. —— “Songs of the Wobblies.” Collector Records, 1977. 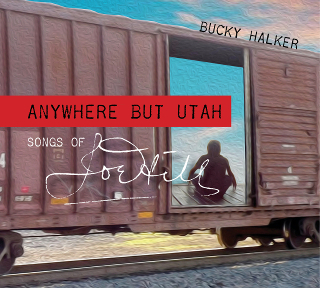 Bucky Halker, “Anywhere But Utah: Songs of Joe Hill.” September 2015. Includes several never previously recorded songs (both labor songs and two of Joe Hill’s little-known romantic ballads); a Swedish choir on some songs; and reminiscences from two people who knew Joe Hill. Article/Review here. Available from our online shop. Magpie, When We Stand Together: Songs of Joe Hill, the IWW, and Fellow Workers. (19 songs, including six by Joe Hill, 2017). Available here, as is a review. John McCutcheon, “Joe Hill’s Last Will.” (13 Joe Hill songs, two previously unrecorded), 2015. McCutcheon is joined by several friends, presenting Joe Hill through several genres. Available for purchase here as CD or download. Utah Phillips, “We Have Fed You All For A Thousand Years.” Philo, 1981. 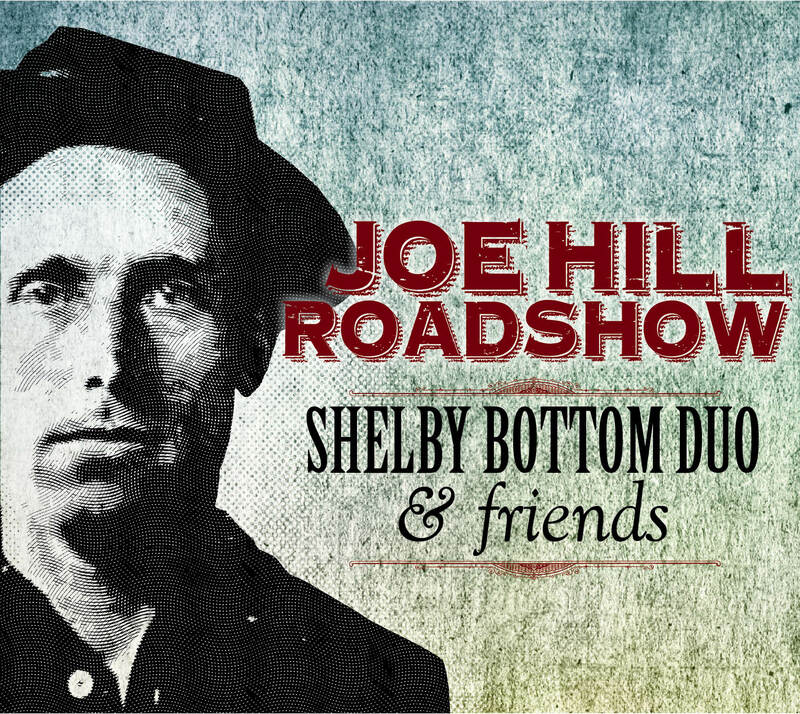 Shelby Bottom Duo & friends, “Joe Hill Roadshow.” October 2016. Includes five Joe Hill songs and “I Dreamed I Saw Joe Hill Last Night.” Available from our online shop. Various Artists, “Don’t Mourn, Organize: Songs of Labor Songwriter Joe Hill.” Smithsonian, 1990. Barry Stavis, “The Man Who Never Died.” Published with research notes: New York: Haven Press, 1954. Revised and reissued: Cranbury, NJ: A. S. Barnes, 1972. Ken Verdoia (1998). 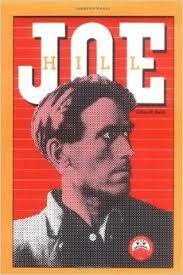 “Joe Hill.” Salt Lake City: KUED TV. Bo Widerberg (1971), “Joe Hill.” In Swedish, with English subtitles. Digitally remastered and re-released in 2015. Phil Ochs (1968), “Joe Hill.” Here is Billy Bragg singing the song. Back in 1990, I wrote a song about Joe Hill’s ashes (“The Prints of the Unknown Wobbly”). I finally recorded it in 2010 on my “Enemy of the State” CD. I’m not sure if you can hear it on my Facebook page anymore since they revamped everything (again). Is there a way I can upload it to your site? The lyrics are posted on Mark Gregory’s unionsong.com website (http://unionsong.com/u348.html). Thanks for all your terrific work! How does one get theBucky Joe hill CD? It just went to press; we will post ordering information within the next several days. Hi Jimmy: Just saw your post. Bucky is in Germany right now, but the CD is available at http://www.cdbaby.com. If they don’t have anymore, email Bucky at buckyhalker@buckyhalker.com. He will be stateside in September. Thanks! 11-13-15 IF NOT JOE HILL, WHO KILLED THE MORRISONS?